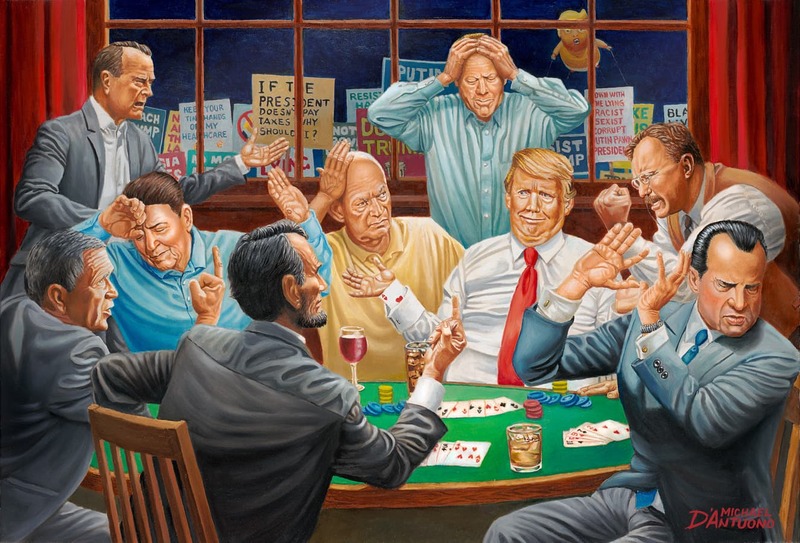 It was revealed on 60 Minutes that Donald Trump hung mall artist, Andy Thomas’ painting The Presidents’ Club in the white House. 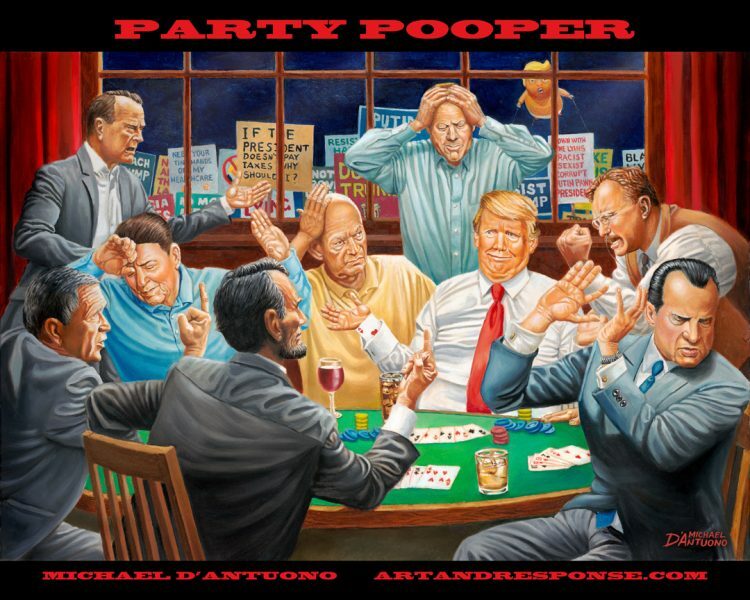 In response, I’ve painted what I consider a more likely depiction of what it might be like if Trump were to join past Republican presidents’ club. 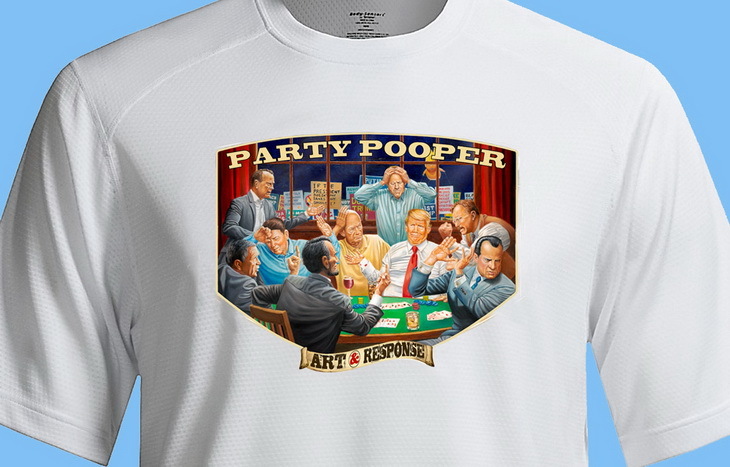 I call it Party Pooper. Somehow, I don’t expect the president to hang this one. Read the HUFFINGTON POST ARTICLE on the painting. Trump hung a fantasy painting in the White House of how past Republican presidents might receive him.